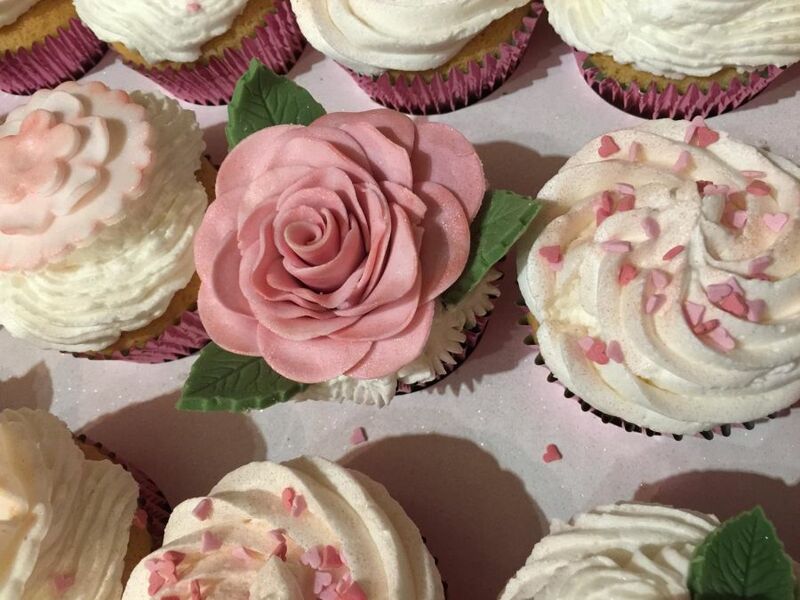 About us our story of how our cake journey began & continues to grow. 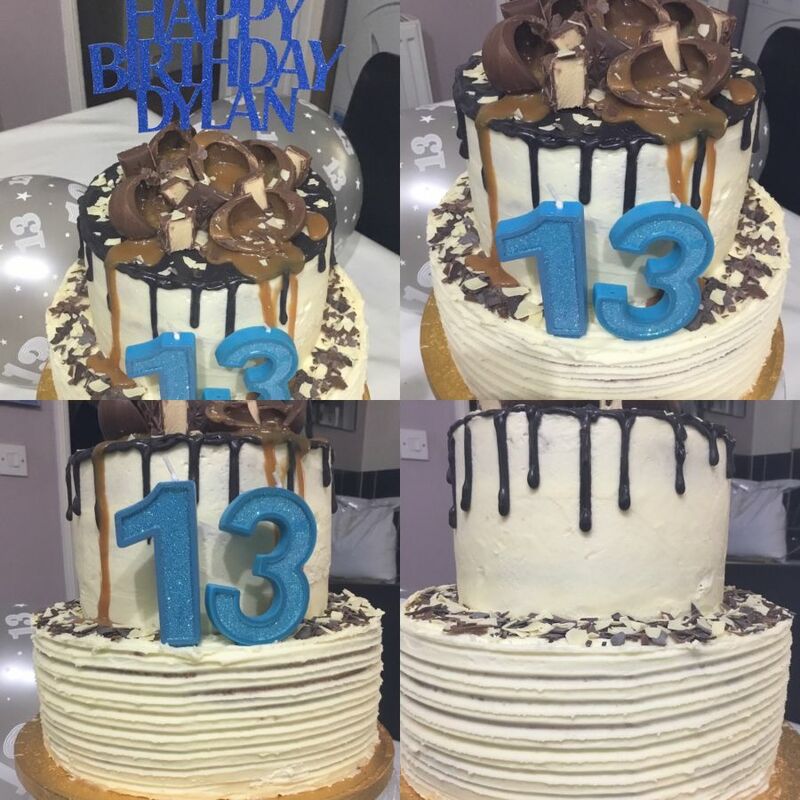 It started with a passion for making cakes for our children's birthdays, we enjoyed the challenge that each cake brought and they became more elaborate each time! We struggled to find decent boxes and cupcake cases for the cakes we designed that we went on a mission to find something new to display our creations! 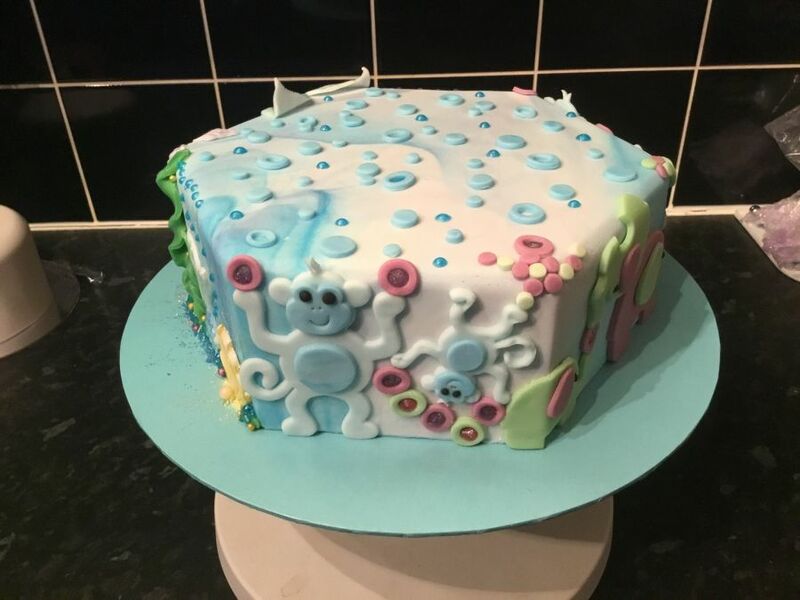 Along this journey we found that we were not the only ones looking for something different, with a bit of colour and style that would help to make our cakes stand out from the crowd. 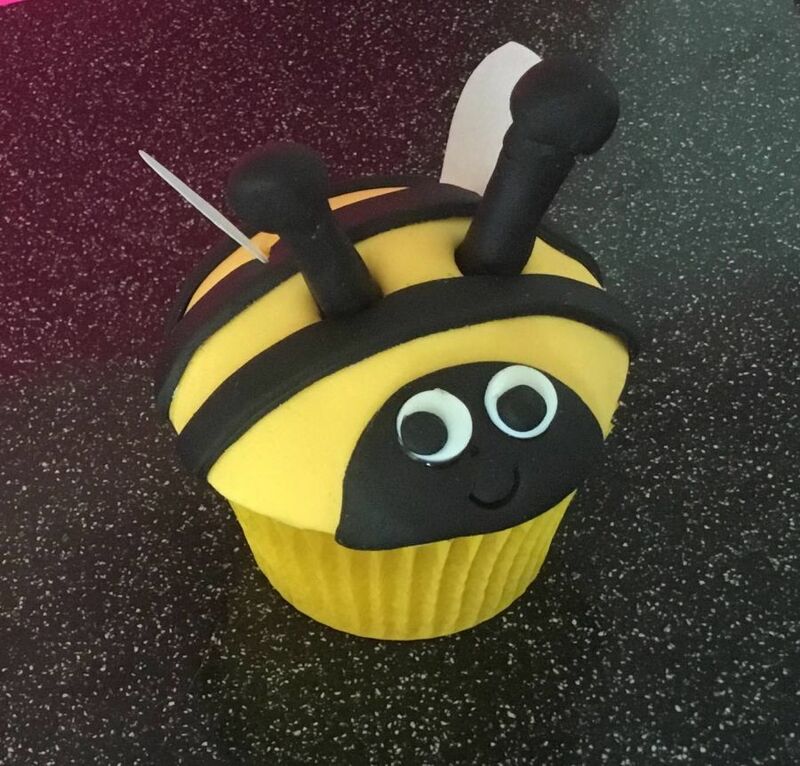 Established in 2012 we started our small family run business based in the village of Cressing in Essex to specialise in the cake decorating supplies sector. We give you the option to have your order via delivery or we also offer a local click and collect service for customers wishing to save on delivery prices in Essex. 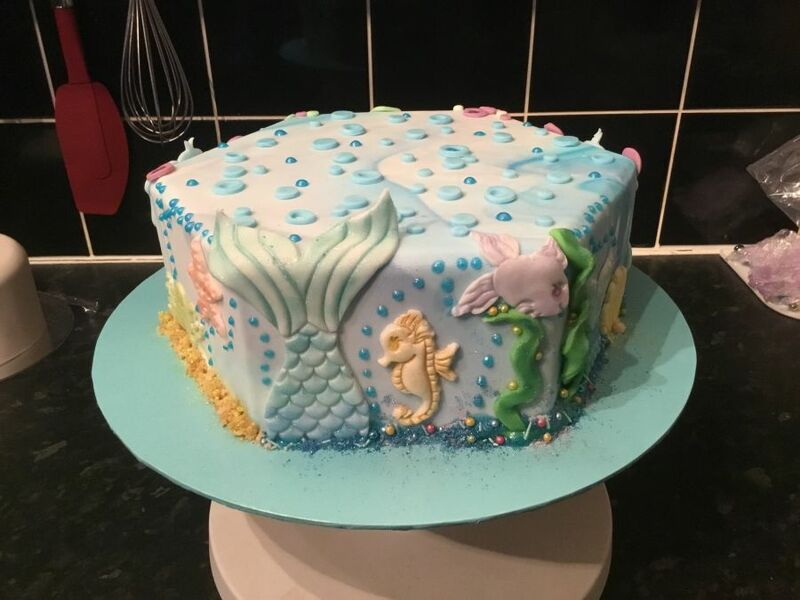 Our aim has been to give the fun and exciting world of cake making a wide variety and choice with products that are popular and also very competitively priced. Overtime we have been expanding our ranges across all areas of cake making, display and sugar craft to give you the best selection possible. 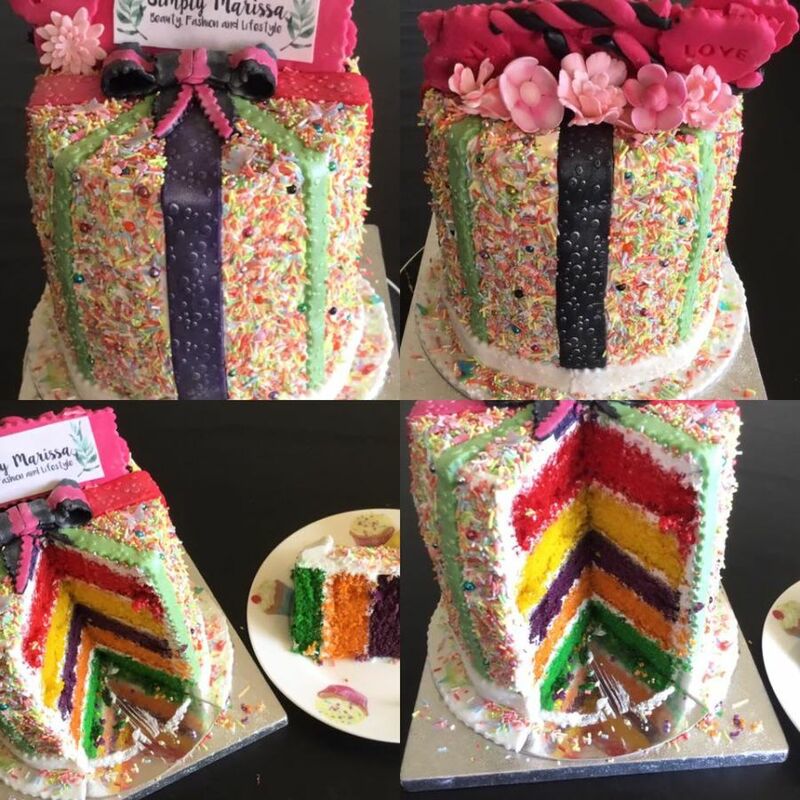 With cake boxes, cake boards, decorating tools, sugar paste, cutters, moulds, edibles, cupcake & cake toppers, essential sugar craft supplies, party bags, cellophane bags, banners, balloons, party invitations, candles, cupcake cases in foil and paper. Our cake boxes and cake boards come in many shapes and sizes, giving you maximum choice for any size cake. Stocking brands Renshaw, Wilton, Culpitt, FMM, Tala, Ateco, Deco-pac, Sugarflair, Squires kitchen, Colour splash, PME, Rainbow Dust, Pavoni Sugar Paste Direct and many more. There is also a wide range of ribbon available, satin, organza, sheer, grosgrain and curling ribbon in many colours which can be used in cakes and craft all available in our online shop. 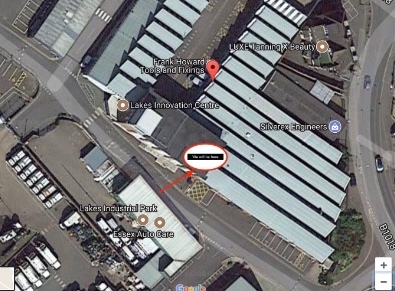 In September 2017 we moved premises to a bigger shop unit at lakes Innovation centre in Braintree and this has given us the ability to bring in more product lines and widen all the ranges we stock. You can shop with us in store so if your local to us then feel free to pop in and see us where you can see all the products we sell and purchase in store. 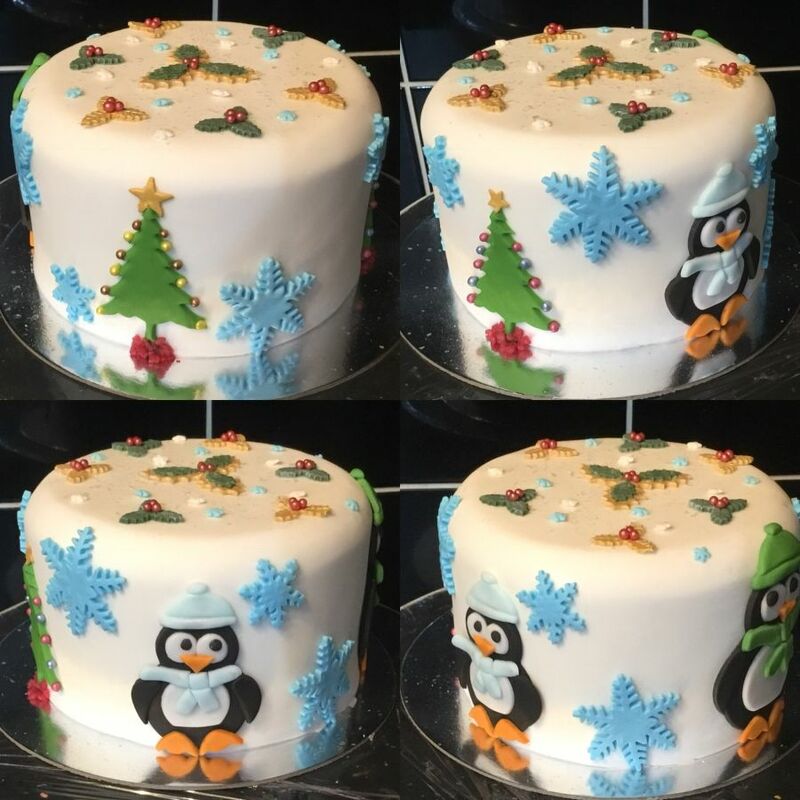 Between us we have 10 years of decorating experience in many areas and have made many cakes for our children and family. 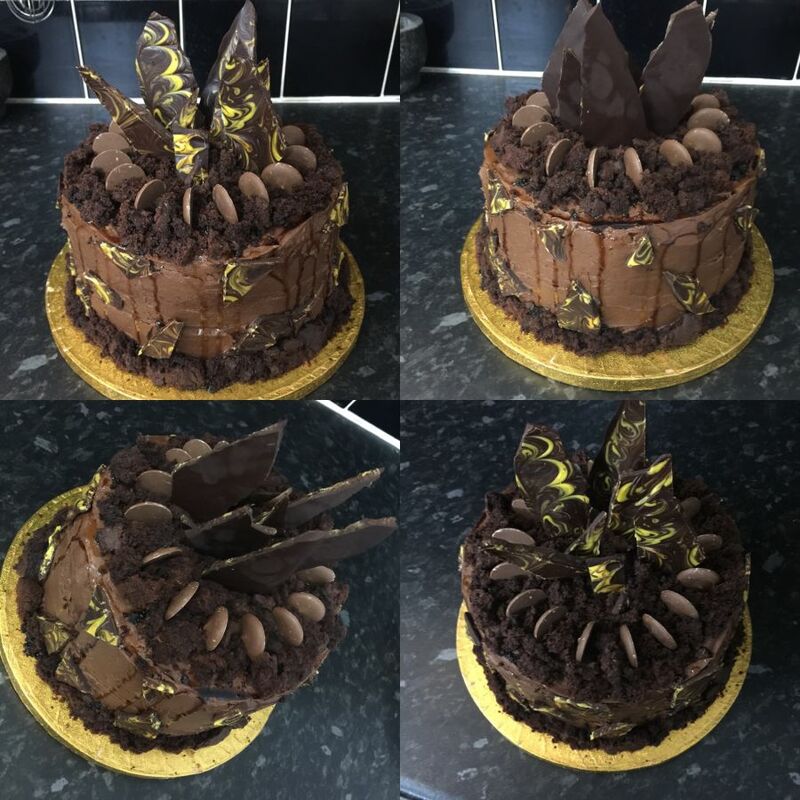 If your in need of help with a cake your making or you have never made one before then come see us for advice and hints or tips. Here are some of the cakes we have made over the years for our children’s birthdays and just for practice and fun too. 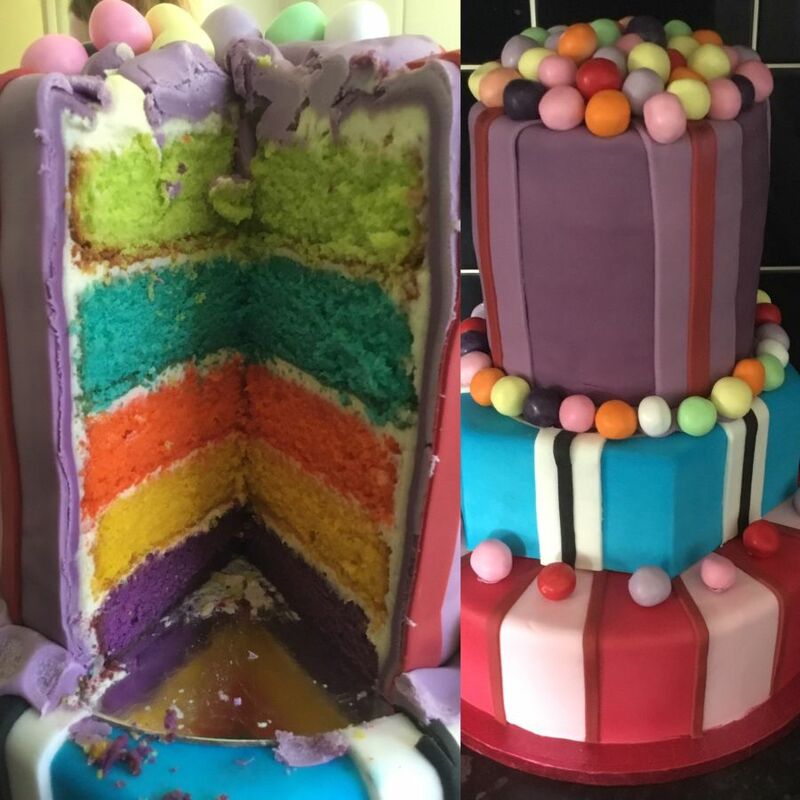 Our daughters 10th birthday cake with a rainbow sponge in the middle. 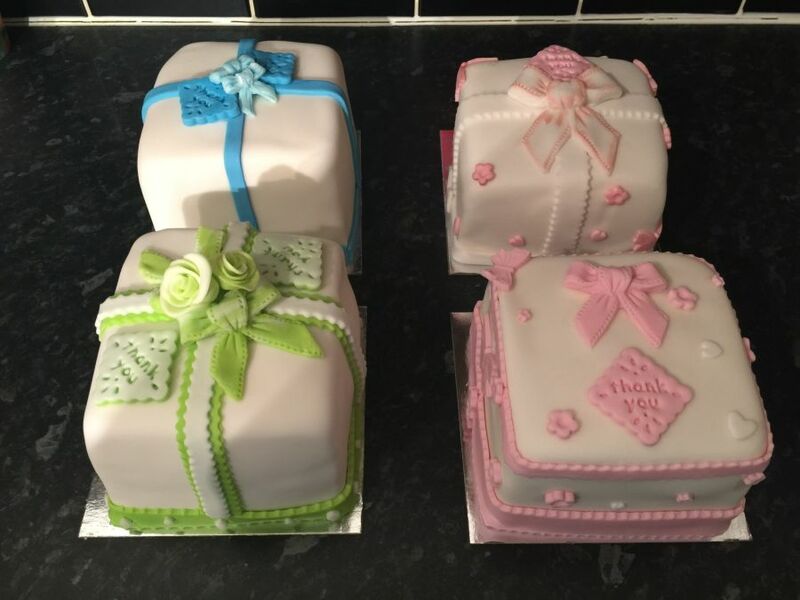 A set of 4 present cakes complete in different colours. All sponges were well received by the teachers. 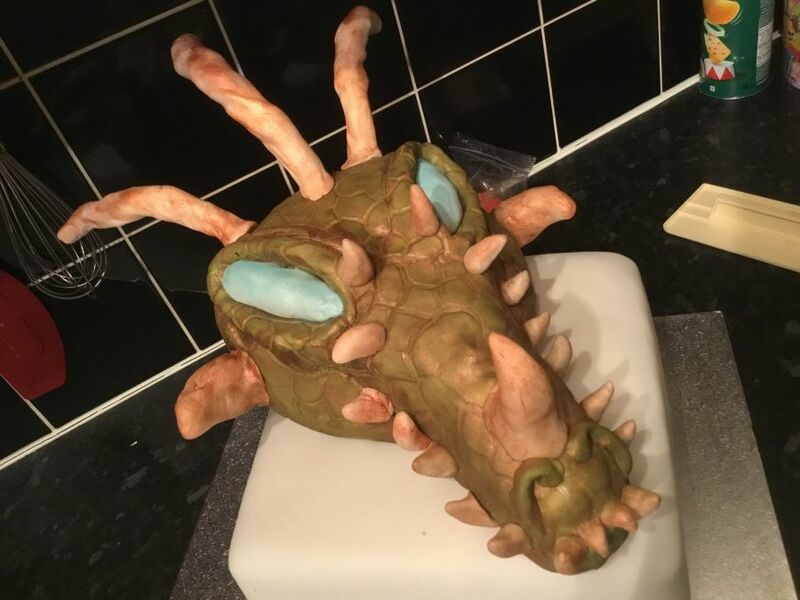 Made using rice crispies with marshmallow for the dragons head. 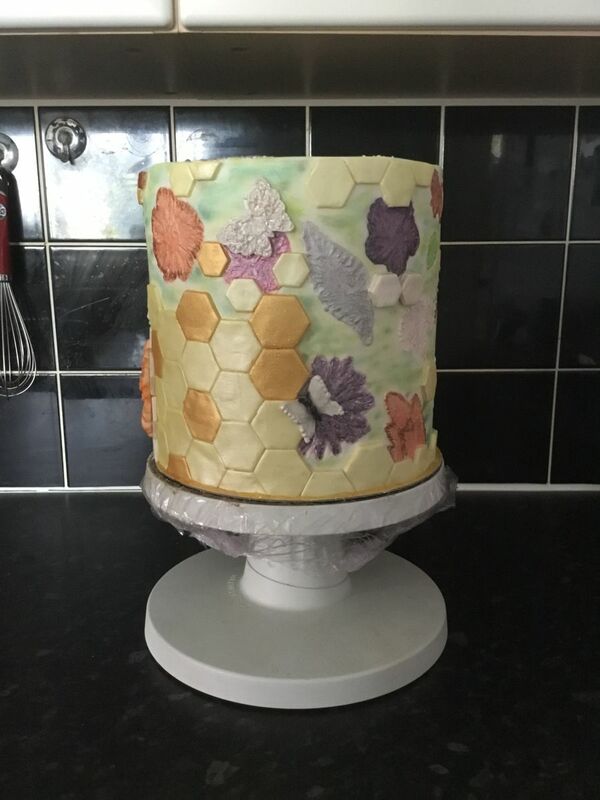 The base was a simple vanilla sponge. 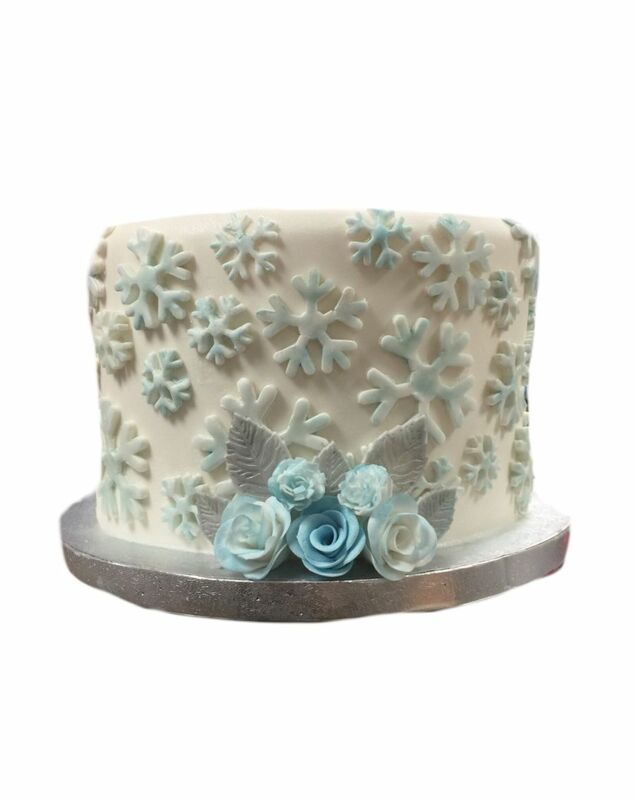 Used in our shop to show the snowflake cutters and some simple roses in blue. FMM gave us some of there new cutters to trial and this is what we came up with. These roses are made with modelling chocolate this was a dummy display cake. 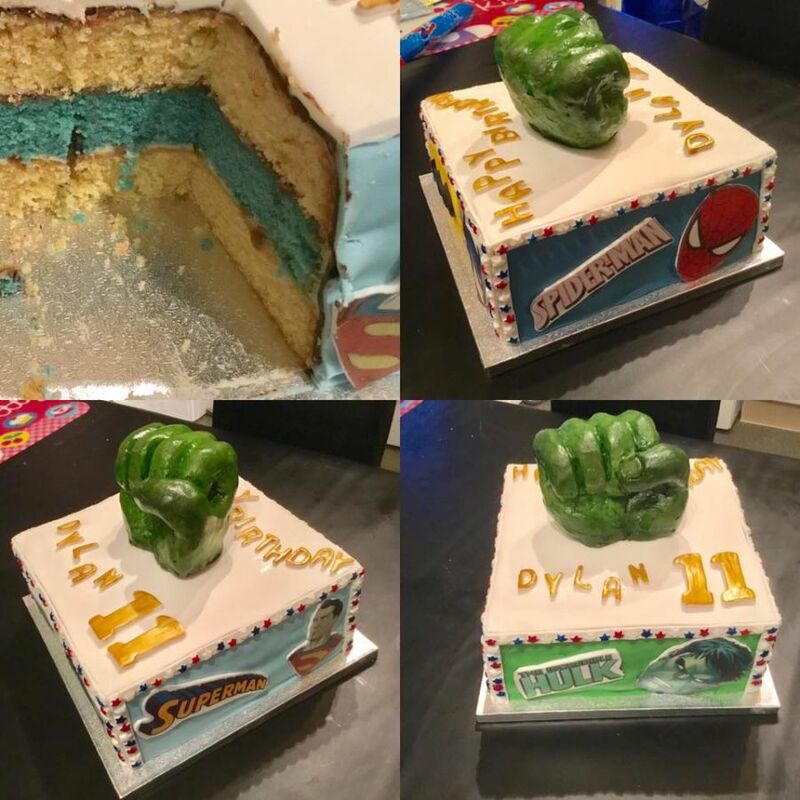 A coloured sponge centre and superhero theme for our sons 11th birthday. The hulk fist was made with cookie dough. 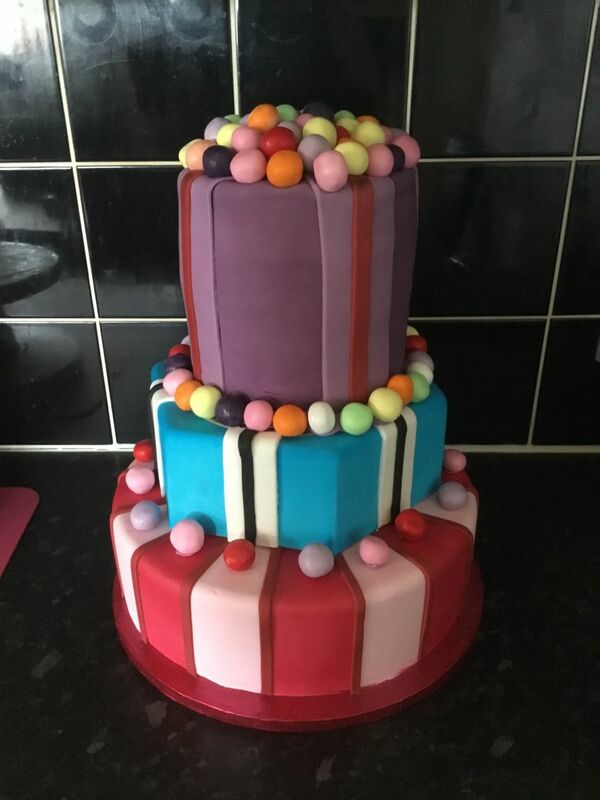 A stunning cake made for our daughters birthday in 2017. colours used were propel, colour splash and sugarflair gels. 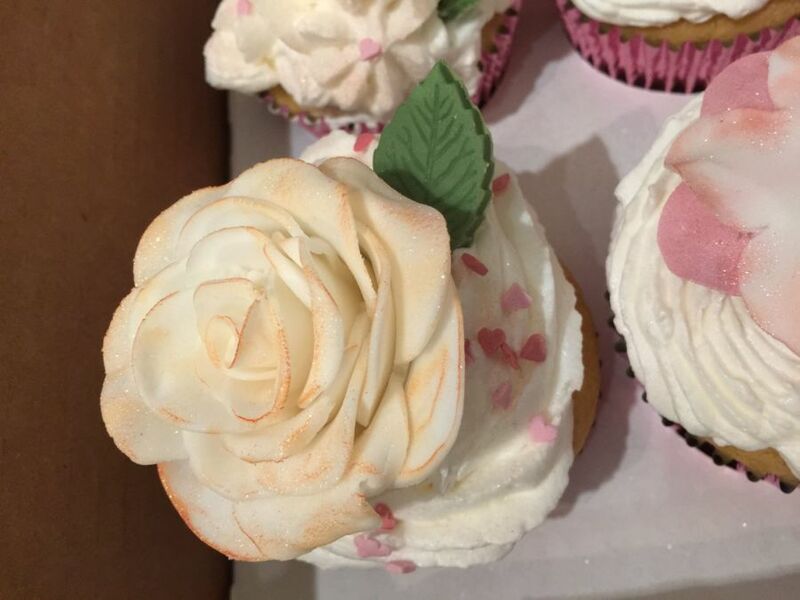 Stunning edible roses made for these cupcakes with perfect white buttercream. Who can resist these decorated cupcakes with Santa, elves, penguin, snowman a reindeer and more. 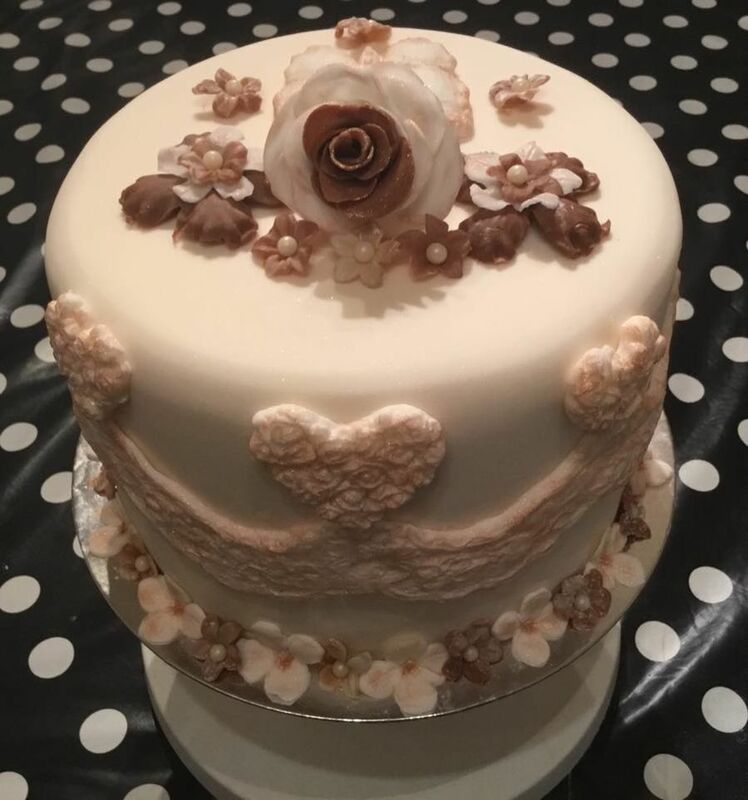 Practicing new techniques with this cake, ruffles, cake lace, free hand painting and wired toppers. 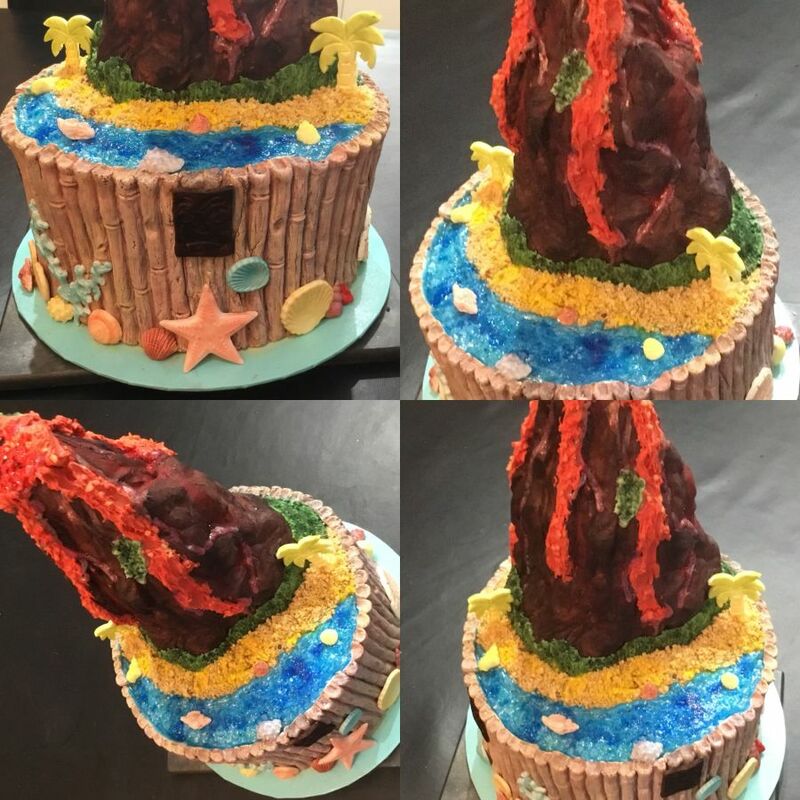 This is a display cake I made for the shop complete with bubbling volcano. 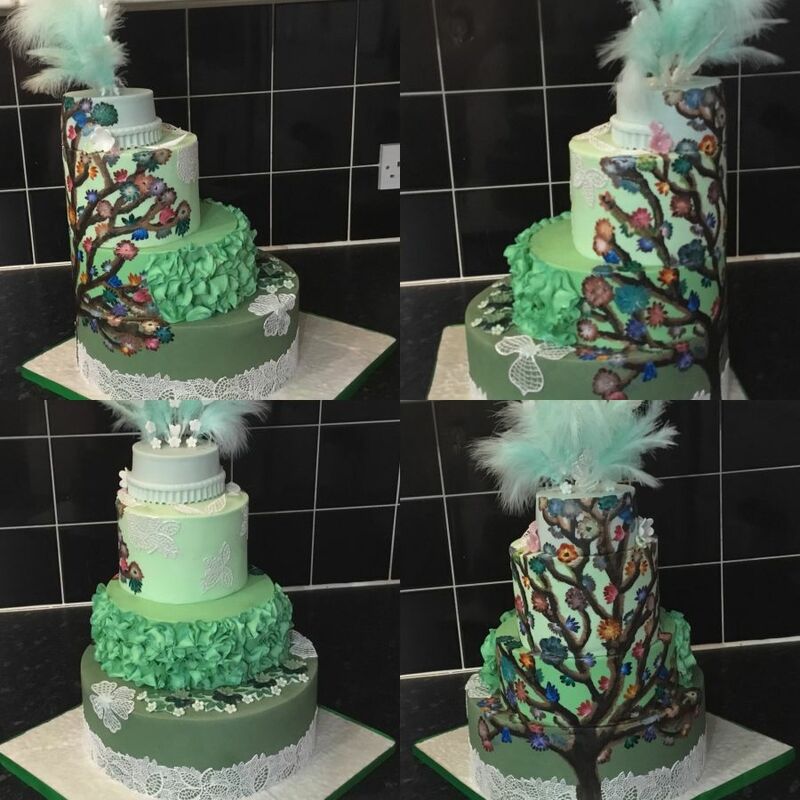 A stylish cake showing brush embroidery and dimensional patterns. 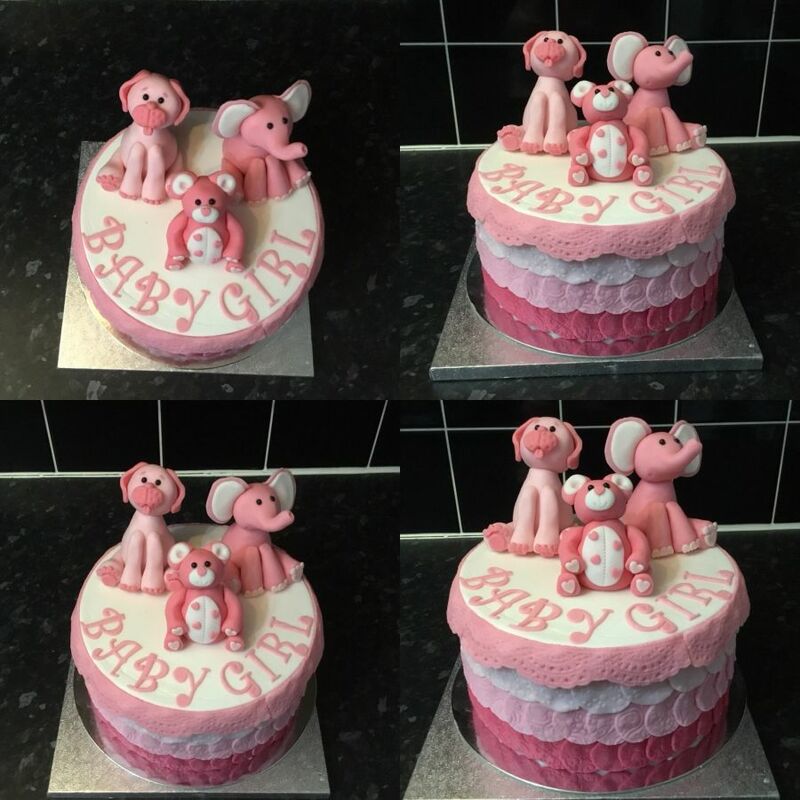 A pink teddy, elephant and dog top this baby girl themed cake with impression pattern covering. Why not come to see us during our opening hours! Browse our aisles and shop in store. We are also here for help and advice about products and tools. Maybe you just want to have a look at something and make sure it's the colour you wanted ? Or the board for a cake is the right size ? We are open Monday to Friday, from 9.30am - 5.00pm & Saturday 10am - 4pm.